The harsh Bolivian climate alone claimed has claimed many victims. Just last year, a hippopotamus died in his sleep when the circus pool froze over in the Andean city of Potosí, 4000 metres above sea level. A dwarf elephant died of exposure in La Paz’s dry winter of 2007. Austria, Costa Rica, Hungary, Finland, India, Israel, Singapore and most recently China have banned the use of wild circus animals while Denmark, Sweden, Finland, and the Czech Republic have limited the use of certain species. The State of Rio de Janeiro in Brazil and the cities of Buenos Aires (Argentina) and Porto Alegre (Brazil) have implemented full bans on both wild and domesticated species. Nationwide bans on all animals in traveling circuses are under consideration in Brazil, Colombia and Peru, where legislation is expected in the near future. Several major European towns and cities have either banned all circus animal acts or wild animal acts, including Thessaloniki (Greece), Barcelona (Spain), Cork (Ireland) and Venice (Italy). In Croatia, most major cities have bans. 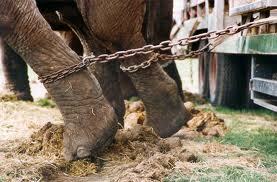 In Australia, Ipswich Council (Queensland) and Parramatta (Sydney, NSW) have local bans of wild animals in circuses. In New Zealand, Dunedin and Wellington City Councils have local bans on the use of wild animals in circuses. There is a circus welfare code but like many of the codes under the Animal Welfare Act 1999 appears to contravene the Act under which it was created, particularly section 4(c) which stipulates that animals must have the ‘opportunity to display normal patterns of behaviour.’ A requirement that is by definition outside the performance expected of a circus animal. The last of New Zealand’s circus elephants, Jumbo, was retired in 2009 after a concerted pressure campaign by SAFE and there are no more circuses that use wild animals in this country but the practice has still not been banned outright. This puts it in the category of anachronistic laws which should be repealed at the earliest opportunity. Currently, Britain appears to be at at a critical juncture with regard to banning the use of performing wild animals. A ban in the UK would affect around 40 animals owned by four circus companies. On 25 March 2010, Labour’s environment minister, Jim Fitzpatrick, said he was “minded” to ban performing wild animals after research showed that 94 per cent of the public supported a ban. A survey by the ADI of 310 local authorities (town and county councils) showed that 39% had already banned all animal acts and 17% had banned wild animal acts. However, while the new Coalition government has said it is considering whether or not to proceed with the ban, 143 politicians have now signed a parliamentary Early Day Motion, (EDM) 403, calling for the wild animal ban to finally be implemented. We are for anything that will help stop animal abuse! We all need to stand up and do whatever we can to protect animals and keep them safe!!!!!!!!!!!!!! Anyone knows what happens to the animals? Are they donated to zoos? Placed in wildlife sanctuaries? Euthanized?